Mix chili seasoning and corn starch in a small bowl; set aside. Brown ground beef in a large skillet over medium heat stirring occasionally, 8-10 minutes. Drain if necessary. Add tomatoes, tomato sauce, water, milk, and seasoning mixture; stir until combined. Add macaroni and bring to a boil. Lower heat to simmer. 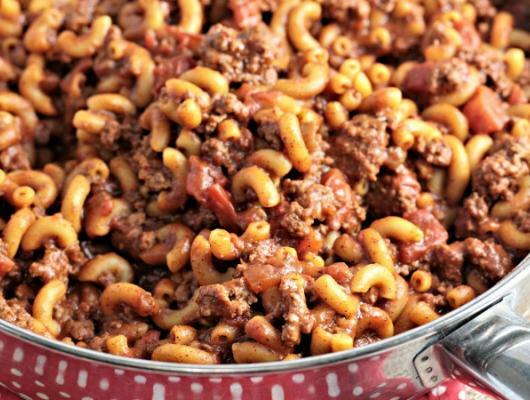 Cover and cook 13-16 minutes or until macaroni is tender, stirring occasionally. Let sit 5 minutes before serving. 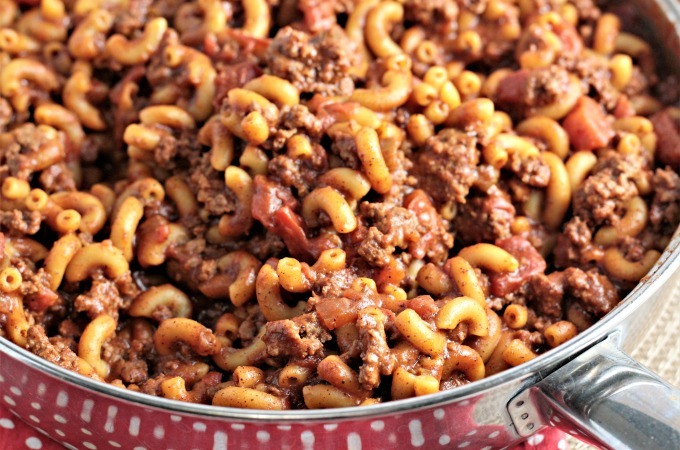 Homemade Hamburger Helper Chili Mac is healthier version of the popular boxed dinner, and only requires 7 ingredients.